This post offers the solution to CGDI MB repair W204 ELV and the ELV is damaged. What to use is CGDI MB with ELV Repair Adapter. You need to follow the order of operation. 1. Click the “Read” button, check the chip state. 2. 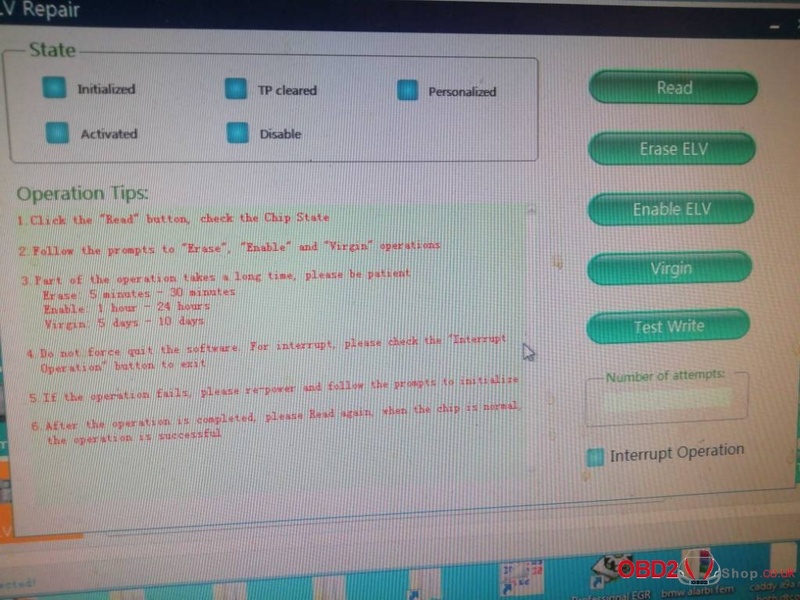 Follow the prompts to “Erase”, “Enable” and “Virgin” operations. Erase: 5 minutes – 30 minutes. Enable: 1 hour -24 hours. Virgin: 5 days -10 days. 4. Do not force quit the software. For interrupt, please check the “Interrupt Operation” button to exit. 5. If the operation fails, please re-power and follow the prompts to initialize. 6. 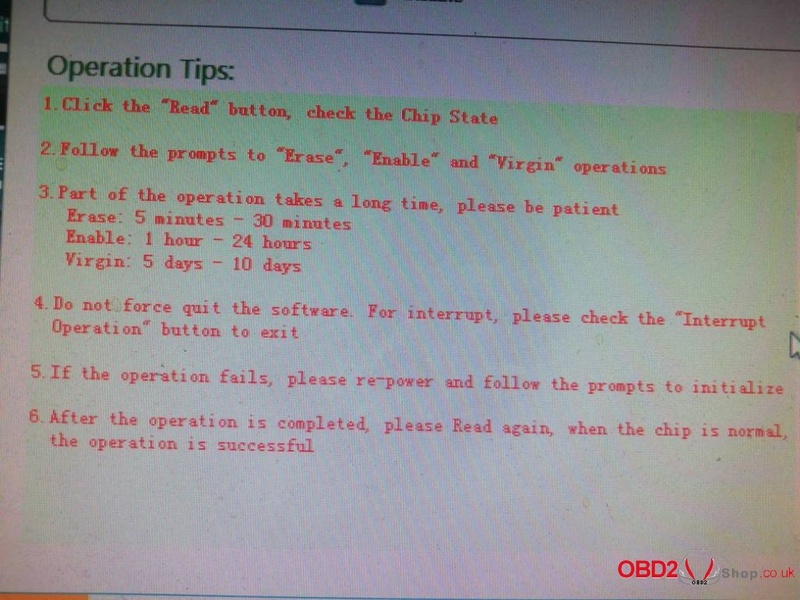 After the operation is completed, please read again, when the chip is normal, the operation is successful. Note: On enable part may take 30 mn if chip not full damaged.